The word "Germans" came into the Russian language a very long time. This ethnonym of ancient origin and means "mute, not speaking Russian." The word "Germany" is also ancient. But the inhabitants of Germany are called Germans. Why it happened so that the Germans called the Russian-speaking people in Germany? This is due to both historical and linguistic reasons. Language evolves, sometimes inexplicable laws. In the use and consolidation in the language of a word multiple factors are involved. Most often the main Creator of the language is its carrier – people. Official sources, such as documents, Chronicles, and literary works that reflect the result of that creativity. On the origin of the words "Germans" and "Germany"
By assumption, linguists, the word "German" appeared in the Russian language in the 12th century or earlier. In the documents of Ancient Rus ' is the name found at this time. At that time, the word Germania had already existed in the Latin language. It took from him the Russian name "Germany". In the works of Roman authors, written in Latin, it can be found already in the 1st century ad. So the Romans called the territory on the other side of the Rhine river, and the tribes living there, Julius Caesar was called Germanus. They are also mentioned by the chronicler Tacitus. In Russian language the word "Germany" it is only in the 19th century, when one country in Europe comprises several separate principalities. By the time the word "German" has already managed to gain a foothold in the Russian language. In big cities of Russia and later the Russian Empire there were many foreign visitors from European countries. A large role was played by the policy of Peter the great, aimed at establishing ties with Europe. This, in turn, contributed to more frequent use of the word "German" among the Russian-speaking population. But why is it subsequently became relevant only to the people of Germany and why Germans are not renamed, as other Nations, to tell very difficult. Perhaps a role was played by the Great Patriotic War, when the meaning of the word "German" acquired a strong negative connotation. Emotionally charged words are well kept in the collective memory of the people. One of the Germanic tribes was called "Nemethy". The Germans, the Slavs called not only the residents of Germany, but other European Nations: Norwegians, Swedes, and Western Europeans, the Danes. In the Russian language is still preserved, the word "German" to mean "alien". In the 20th century in the environment of Russian-speakers still use the word "German" in relation to the Estonians. But stuck in the Russian language this word in the sense of "people of Germany". 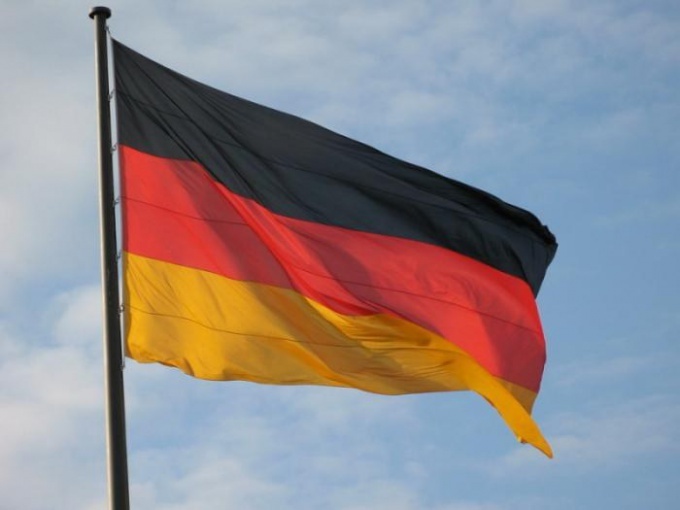 Slavs – not the only one who uses the word "German" to refer to the residents of Germany. It appears the Hungarians, the Ukrainians, the poles, the Czechs, and the Serbs and Croats. Followed the ancient Roman tradition and the French and the Germans, and even the former residents of Rome Italians. French-German – Allemand-German – Deutch-Italian – Tedesco. But it is in Russian language name of the country is not similar to the name of the ethnic group inhabiting it.